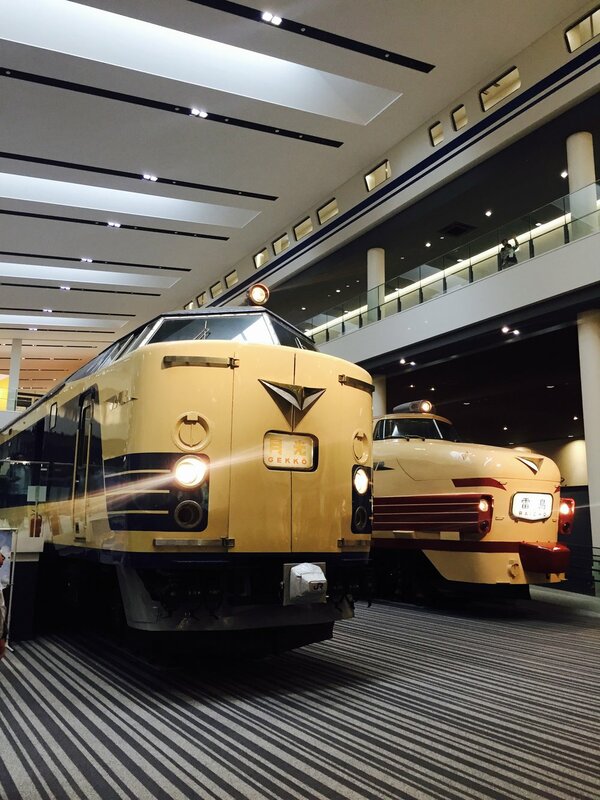 1 - Kyoto Railway Museum. Got kids? DO IT. Do it do it do it do it do it. Did I mention do it? It's awesome. There is SO MUCH on exhibit, we couldn't even get through it all the first time. 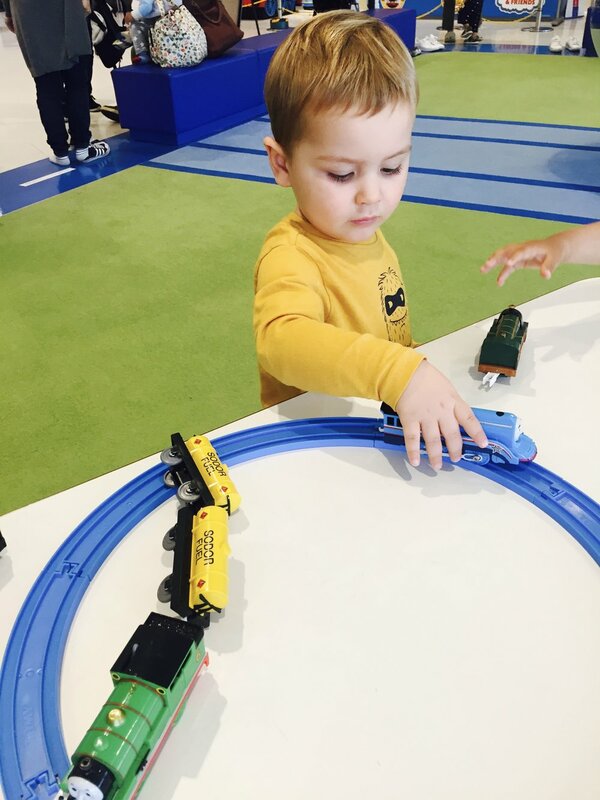 The best part (in the eyes of a Thomas the Tank Engine super fan), was the TTTE play area on the second floor. He could have stayed for hours. In fact when he woke the day after our first trip there his exact words were - 'I wanna go back to play with Thomas'. 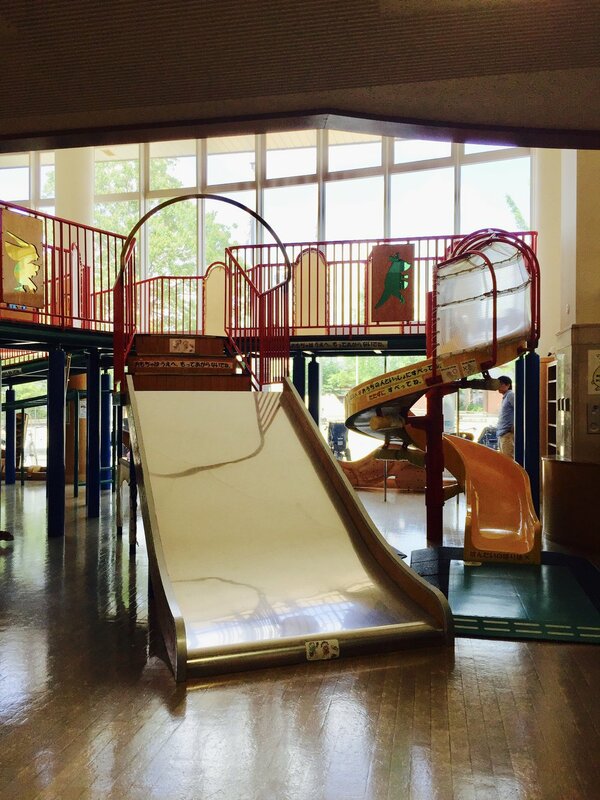 This picture does not do this play area justice! 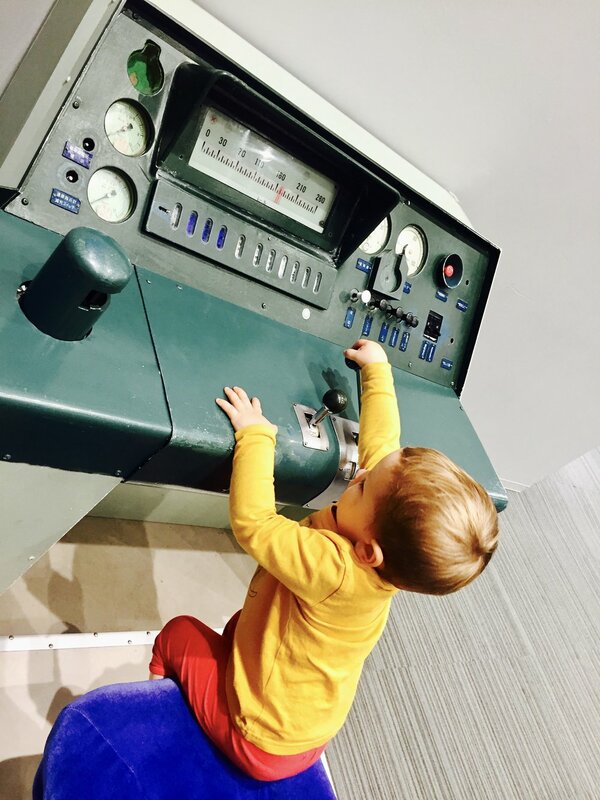 There were so many buttons to press to make things move and light up, so many places for kids to 'drive trains', a plethora of full trains and carriages, a turntable, a steam train, Shinkansens. EVERYTHING. It was fantastic and a 2 min walk from the Railway Museum is an awesome outdoor play area which was the biggest and best we saw in Kyoto. There is a cafe overlooking the park and we went there twice for pizza. 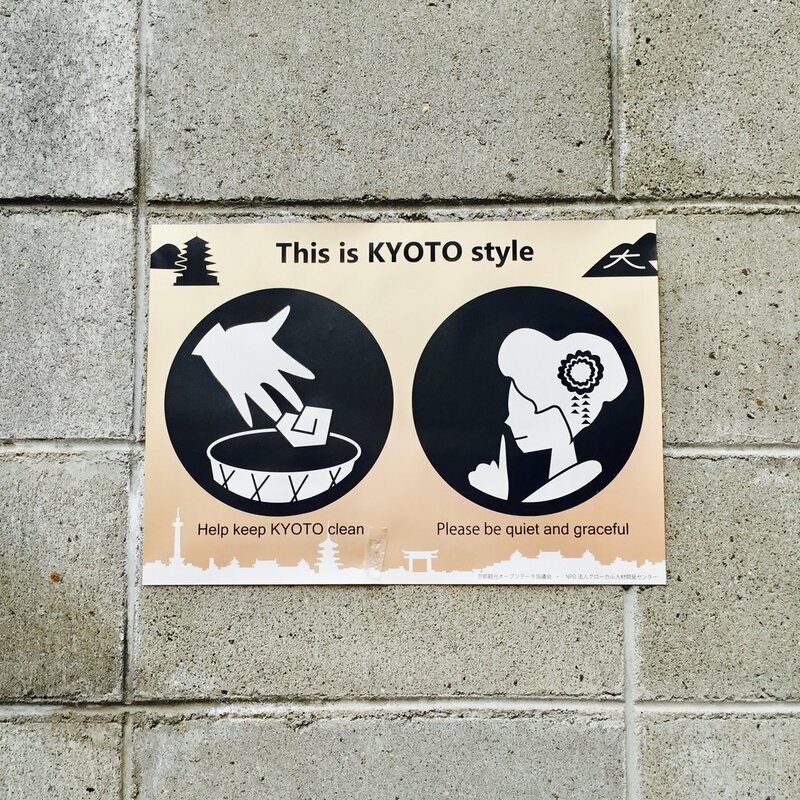 If you walk a little further there is the Kyoto Aquarium. So you could really make a day of it! We found the BEST indoor play centre and it's called Kokomo Genki Land for kids under 6 yrs. It is run by the most gentle of ladies, it was free and it was full to the brim with different and excellent activities for the kiddos. The ladies even do street organ performances with singing and puppetry at different times in the day. It's sooooooo cute. Theres a little eatery in the same building just for reference if you need food, although we didn't eat there. Please note that google maps sent me to a different place, but on the same street. 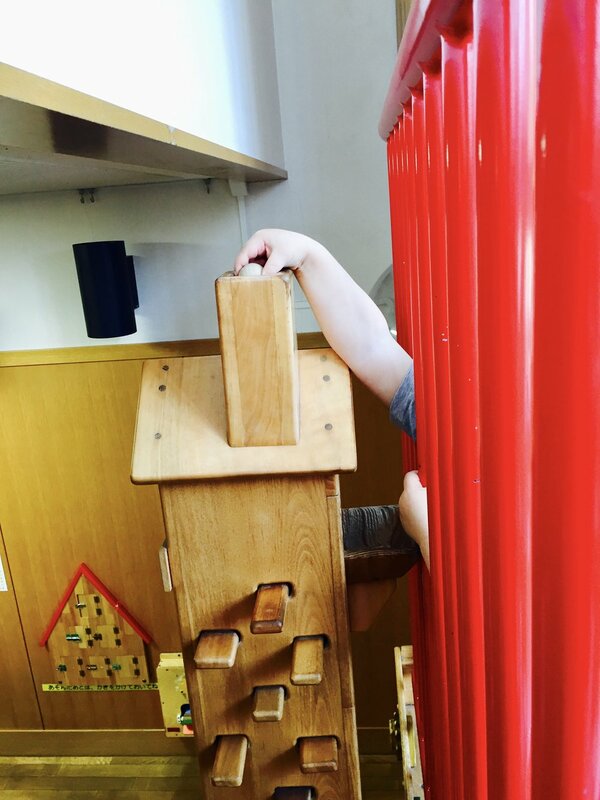 It is actually the building that overlooks the park outside (that has a large area to run around and some play equipment). Look for all the bikes parked out front, pass the first door which is a kinder I think, and it is next to that! Also to note, its not far from Kyoto Imperial Palace and Garden, which was where I put Otie down for his nap and enjoyed some greenery. We also did two day trips with the kiddo. The first was to Nara to see the Deer, but it was a tough day for us and it's hard to recall the day in a positive light. It started with confusion at the station as to how to get out there and we ended up paying much more than we should have and there was a lot of back and forth and mis-understandings (which was probably all my fault). On top of this the kid was having multiple meltdown, so we didn't quite start on the right foot! Once we got out to Nara and made sure everyone was fed, we headed towards the park area. It was fun to see the deer, and have them walk beside us. There were a lot of people around which is expected, especially in Japan in golden week! We couldn't find aaaaaany play equipment for the kiddo which is something that we try and find everywhere we go. There was plenty of space for him to run around but there was deer poop EVERYWHERE so not the best place to be rolling around the grass. We didn't end up feeding the deer as once people had those crackers in their hand, they were relentlessly followed, and in some cases the deer nibbled on their clothing in an attempt to get the person to feed them! Cheeky deer! In the mood that the kid was in, we didn't want to push out luck! But if you're game, they were 150 YEN for a bag. We found a place to stop for some noodles and recharge. 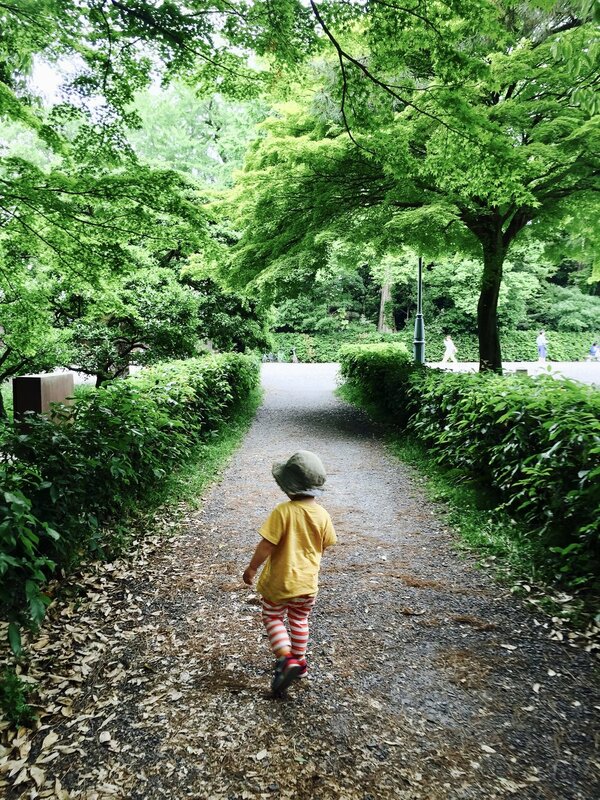 We put the kiddo to sleep, got an ice-cream and then made our way back to Kyoto. It wasn't Naras fault, it was just a tough day! I'm sure it'd be an awesome place to visit on a good toddler day! 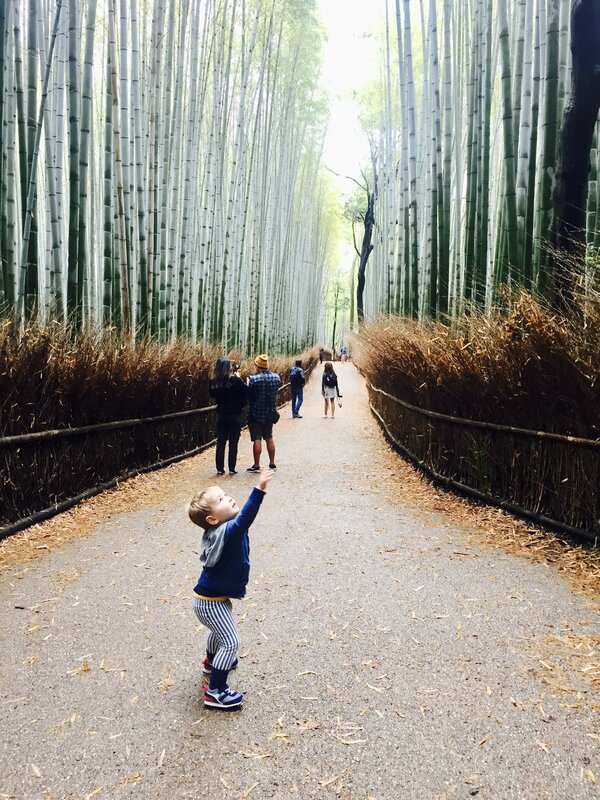 We also did an Arashiyama day trip. This was a gret day! We started at % Arabica on the river which was delish as usual. Don't expect food, its literally only coffee! Al went on a mission to find a convenience store for some food, and Otie and I started to walk through the park in search of the Bamboo forest. It had been raining so the park area was wet and smelt like rain and earth and it was rejuvenating. We came to the back of the bamboo forest and walked through. It was pretty nice. Otis had fun trying to touch the top of the bamboo! We stopped for snacks at an awesome little eatery at the entrance to the bamboo forest If you are coming from the station. We had this amazing custard/mochi fish shaped cake called Taiyaki and some grilled mochi. Yummo! We passed a Zen temple and decided to go in. 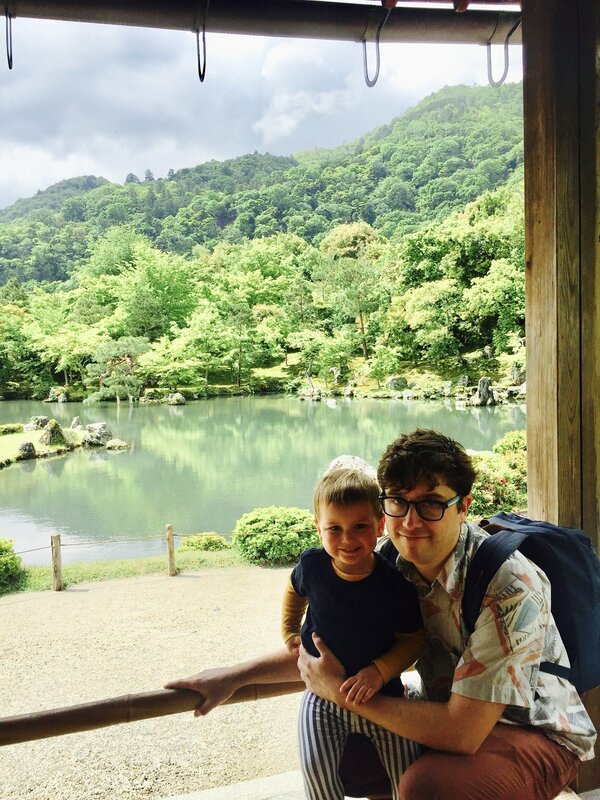 Zen temple with a tired toddler? Not particularly recommended! Haha but it was lovely to see the garden and hell, you just gotta give these things a go, right? Then we went across the river to find somewhere to walk the kid to sleep. We ended up waking next to the river, passed the entrance to the monkey park and it was absolutely divine. So yes, it was lovely, but the kids didn't sleep! So we decided to head up to the Monkey park. It was a loooong hike up, with Otis in a carrier. It would have taken hours to get up there without the carrier and with the kid walking. With him in the carrier it was a 20 min solid uphill hike! Brutal! The trek is not conducive to taking a pram, just fyi! Oh, and 550 YEN entry, small kids free! Just before you reach the top, there is a park with a few bit of equipment. Otis didn't want to leave, and had a great time! It had rained the day before so it was a muddy mess, which ended up all over the kid! He had a ball though! We climbed back down and put the kid to sleep, found a cutie little place to sit overlooking the river to chat and have a beer. I had a day of explorations by myself and started with Fushimi Inari Shrine! Totally doable with kids, if you loop around after the first set of Tori gates! Thats all I did as I was having trouble with my hips and didn't want to push my luck. It was a lovely place to visit, best first thing in the AM so there are less people around. 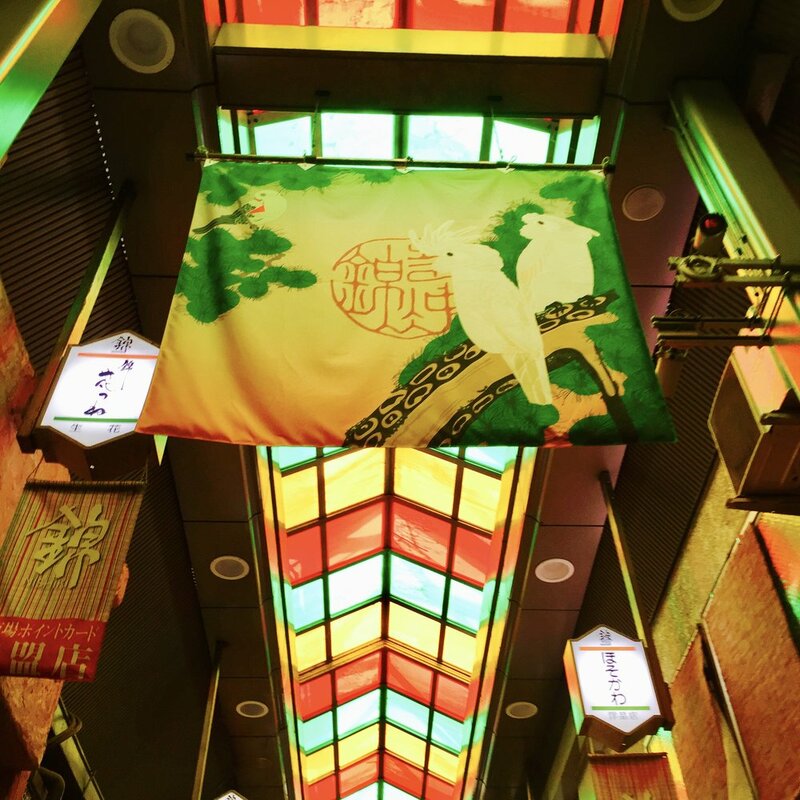 Next up was the Gion/Higashiyama areas. I think it would be doable with kiddos, but be prepared! There are a lot of hills, wall to wall tourists (and cars sharing the same road), and on the main shopping strips in Higashiyama, there are a bunch of stairs. Give yourself a day to explore with the kiddos, take your time and be prepared to do some lifting of the pram! I did the trail below in a few hours. 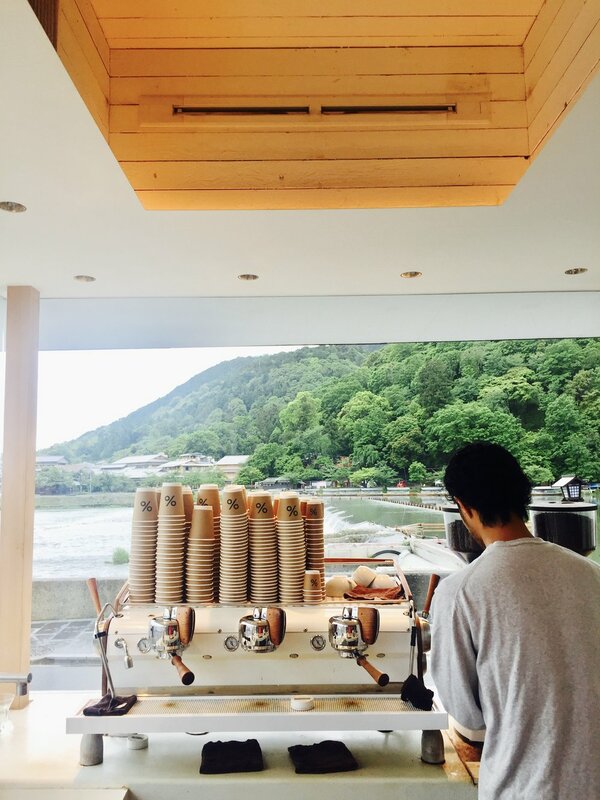 I started my explorations west of the river at Fujii Daimaru for... COFFEE! A few meters inside the entrance of the department store was a small % Arabica coffee stand. In my opinion, the best coffee I found in Kyoto (if you're comparing it to Melbourne espresso style coffee). It opens at 10.30am. Hanamikoji Dori (entry from Shijo Dori). The buildings here are gorgeous, but not much more so see than tourists trying to sneak a peak of a Geisha during the day hours. Lovely none the less. Kennin-ji Temple - A Zen temple at the bottom of Hanamikoji Dori. Its super lovely and nice for some quite time in a busy day. Cost was 500 YEN entrance. Worth it in my opinion. Hokanji Pagoda - This was about a 10 min walk from Kennin-ji, I just popped it in google maps and followed the trail! Its gorgeous and well worth walking by. Ninenzaka steps. A quaint region with traditional homes and a shopping strip. 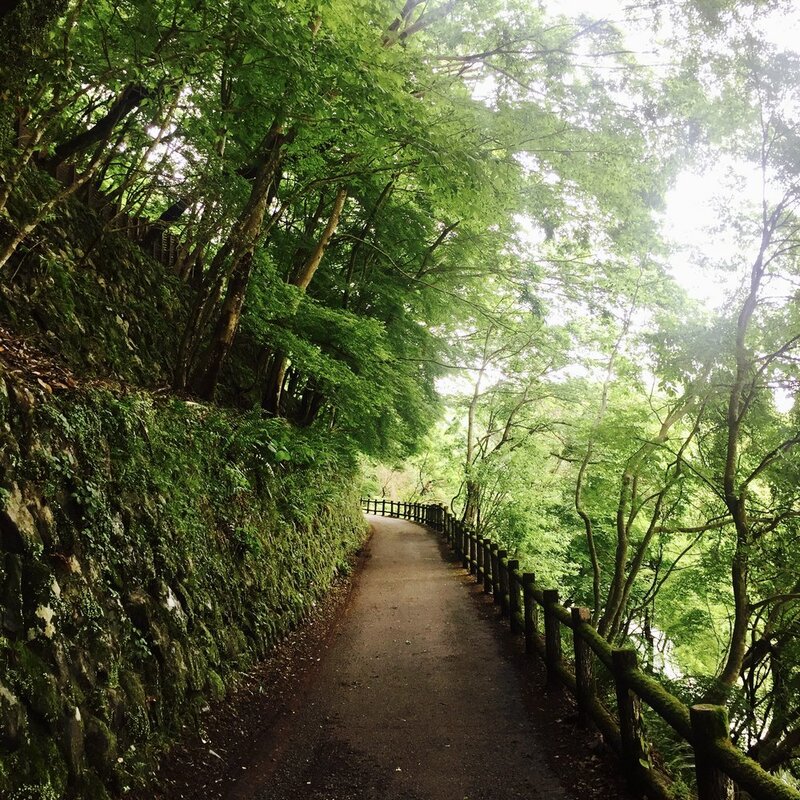 Sannenzaka which is a traditional shopping area on a hill, turn left and head up towards Kiyomizu-dera temple. I didn't go inside as my hips were pretty pushed to their limits, and it was swarming with tourists! Lovely at the entrance none the less! Here are some photos of this meandering! Then I just wandered back towards the main train stations, taking the back streets and getting a little lost. There is another % Arabica in Higashiyama so of course I got more coffee! We also went as a family to the Nishiki markets, which was good but crowded and not super pram friendly (at the time that we went anyway). If you want to check out every store, prepare to spend a few hours here, especially if you're navigating crowds with a pram. And have some entertainment for the kiddo! Music/a game to play/something to watch is ideal, if trying new foods is not the kids no 1 favourite thing to do, as it can been pretty tedious for the kid to stop and start so much! We did it within half an hour as we skipped a bunch of stores. But we did find some incredible food, bundled them up and headed to a nearby park for some serious picnic/play time! Here are some highlights of our food journey at Nishiki! So! That was all the main stuff we did. We did a few places a few times which was nice, and we did a lot of park hangs and walking around neighbourhoods. We also allowed each other to have some time to explore sans fam bam, and that was nice as well and allowed us to see specific things that we had wanted to check out. Book accomodation with a kitchenette! Our kiddo isn't thew best eater of new things, so having a kitchenette and being able to whip up a veggie dish I knew he will eat was honestly a lifesaver! On booking accomodation - our room had a washing machine INSIDE the room and it was invaluable! And the bathroom converted into a drying room. Washing on in the evening, clothes dry by morning. AMAZING. Also on booking (if you are sharing a bed with your toddler) we booked a room with two king singles and pushed them together. We have never had so much sleeping room in our lives! It became a fun play place for the kiddo too. We are spoilt for parks in Melbourne, if you are too, be prepared! There aren't a huge amount, and often they are quite simple and old. Totally fine for the kiddo though, especially if you have a ball/bubbles/good imagination! Outside of shrine/temple/garden grounds there isn't a massive amount of green space. Most of the back streets don't have 'footpaths' and you are sharing the road with the cars and bikes. Amazingly there is an unspoken understanding between everyone using the road and it all works out, but it meant that we couldn't have the kid out of the pram very much and it frustrated him! We discovered that the kid definitely needs at least one massive uninhibited run around play a day otherwise he turns into somewhat of little monster! So if you've got an active kid, make sure you're fitting in some free run time into the itinerary! Inject a bit of everyday life into the trip. Why on earth would you do that? The kid LOVED it. Helping with the dishes, helping shop at the supermarket, tidying before watching tv or bed. It was all so familiar with the kid and especially in a day that was full to the brim with new experiences, he loved the familiarity. Transit in its many forms and cafes/restaurants are generally respectfully quiet places. It drove us a little crazy having to try and control a toddler so we didn't disrupt the good thing the locals have going on. The general understanding that you don't make noise on a train is not really conducive to a toddler loudly ranting/having melt downs etc. This is when music/shows become your best friend! On that train ride back to the accomodation when the kid is at the end of their tether, on the long transit between cities, on the brink of a meltdown in a public place, at restaurants. Don't be shy about it (you will get some curious looks) just do it. It will save all of you. If your kid still day naps but isn't used to doing it in the pram - make a routine. We took his favorite blanket and cuddle toy when we went out, laid back the pram and put the Moana soundtrack on his headphones. This was his everyday routine and it worked! He knew it was sleep time and then... Slept! Not for long most of the time, but any kind of reset is a good thing! And these sporadic hours of toddler sleep in the afternoon became mine and my partners little surprise dates where we could connect amongst the chaos of the day, so make the most of it and go and get a beer and some food and look in each others eyes! Take an umbrella with you, if there is a chance of rain! I didn't because I didn't want to carry around another something, and I got caught in the rain A LOT. Jackets are fine but frustrating when they get wet through and you're out all day! If you are taking the Shinkansen, you don't need to book a seat for a toddler. You can (at a certain percentage of the cost of an adult seat) but if you want to save money you don't have to, they can sit on your knee or in our case, stand up and play on the tray table! Just be prepared to entertain! If you see a street festival, go and explore it. Usually they won't be on your itinerary but may just pop up around the place that you're staying. Lots of funny little things for the kiddos and always a plethora of amazing street food! Merries is a good brand of nappies and the ones that we used when we were there. The only ones I could find were pull ups which was a little frustrating when out and about but did the job! If your kid has a tendency to leak through nappies at night, bring a mattress protector! It seems ridiculous, but its worth it! We brought a washable mattress protector, three disposable ones and the nappies that work the best from home. Next time we take a trip, I would bring enough night nappies to last the whole trip! You my think its a waste of space in your luggage, but on your return flight, the space can be filled with trinkets and souvenirs! Its definitely worth getting a Data Sim (we just picked ours up upon arrival at the airport, and they installed them right then and there). We got a 3 GB one and it lasted us the whole three weeks. Invaluable when out and about and needing to find places/navigate public transport. We didn't use it for much more than that when we were out, and just jumped on the wifi for all other stuff when back that the hotel etc. BE FLEXIBLE. Our itinerary went out the window within the first 5 days, and fast became a guide to what would be great to fit in, if we could manage it. In saying that, we did fit almost everything in, but not all as a family unit, some solo adventures allowed us to fit more in (while the other parent was at a park with the kid or at the hotel watching a movie! If you begin the trip without expectation of seeing everything then you won't be disappointed when you have to skip out on some stuff, if major meltdown occur or you just need a 'nothing day'.